What started with just three bowlers, junior Aneeka Stephen and two sophomores, Mimi Garza and Cassidy Steckman, blossomed into a district championship for McNary High School. With the addition of sisters Cecilia and Natalia Valle midway through the season, the Lady Celts defeated McKay on Sunday, Jan. 22 at AMF Firebird Lanes in Salem to win the district crown. 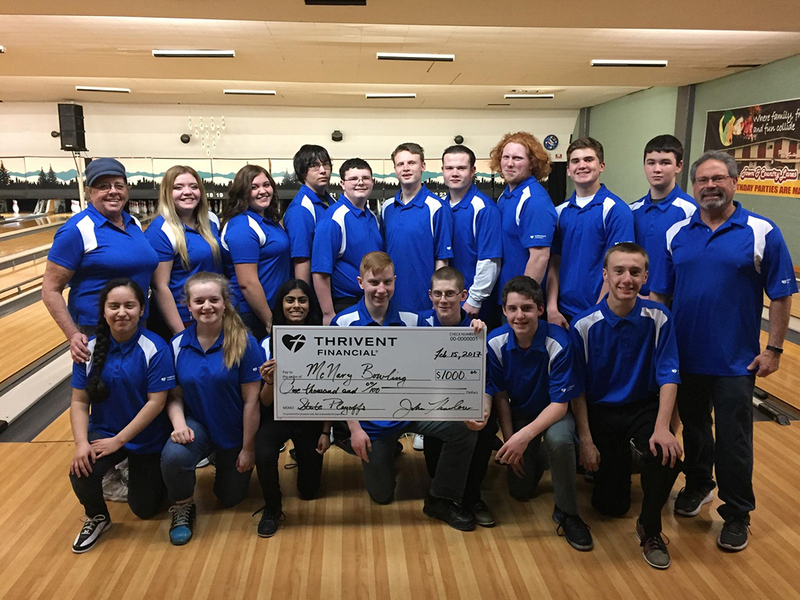 With the victory, the McNary girls qualified to compete against 15 other teams in the state high school tournament on Saturday, Feb. 25 and Sunday, Feb. 26 at KingPin’s in Portland. McNary’s boys team also qualified for the state competition by finishing third in the district behind McKay and Silverton. The Celtics team includes Nick Blythe, Tim Kiser, Derrick Lucas, Adam Teal, Layton Thurlow, Konnor Sjullie, Garrett Hughes and Chandler Gregory. The boys will also compete against 15 other teams at KingPin’s in Portland.